Roughly a quarter of potential buyers said the No. 1 reason they would buy now is because prices appear to have bottomed out. That reason topped bargain-priced foreclosures, worries about rising interest rates and a wide selection of homes. The survey, conducted for Move.com, a real estate listings site, reveals how Americans are responding to a nascent and fragile housing recovery after three years of staggering price declines. The percentage of buyers thinking of jumping into the market was down slightly from a March survey, but up about 1 point from a poll in June. Home prices rebounded this summer at an annualized pace of almost 7 percent, according to the Standard & Poor's/Case-Shiller home price index. But with high unemployment and foreclosures clouding the picture, economists debate whether prices will dip again. Buyers who have owned in their current homes for at least five years are eligible for tax credits of up to $6,500, while first-time homebuyers - or anyone who hasn't owned a home in the last three years - would still get up to $8,000. To qualify, buyers have to sign a purchase agreement by April 30, 2010, and close by June 30. Those surveyed widely favored federal policies that kept interest rates low and helped troubled homeowners avoid foreclosure over those that helped first-time homebuyers purchase a home. And, overall, 48 percent of those polled didn't think the government was doing enough to stabilize the housing market, whereas 42 percent thought it was. 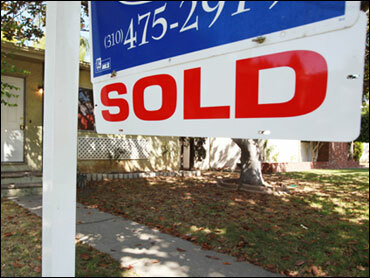 Forty-five percent of Americans worry that they or someone they know will face foreclosure in the next year. And almost 30 percent of those with a mortgage have contacted their lender in the past year to reduce their payments. One of the survey participants, Joe Handley of Harrington, Del., called his lender last December to consolidate a second mortgage and cut his interest rate from 6.75 percent to 5.25 percent. Almost a quarter of Americans who refinanced their mortgages have used the savings for living expenses or paying down debt, the survey found. Less than 9 percent are putting the savings toward investment or retirement.